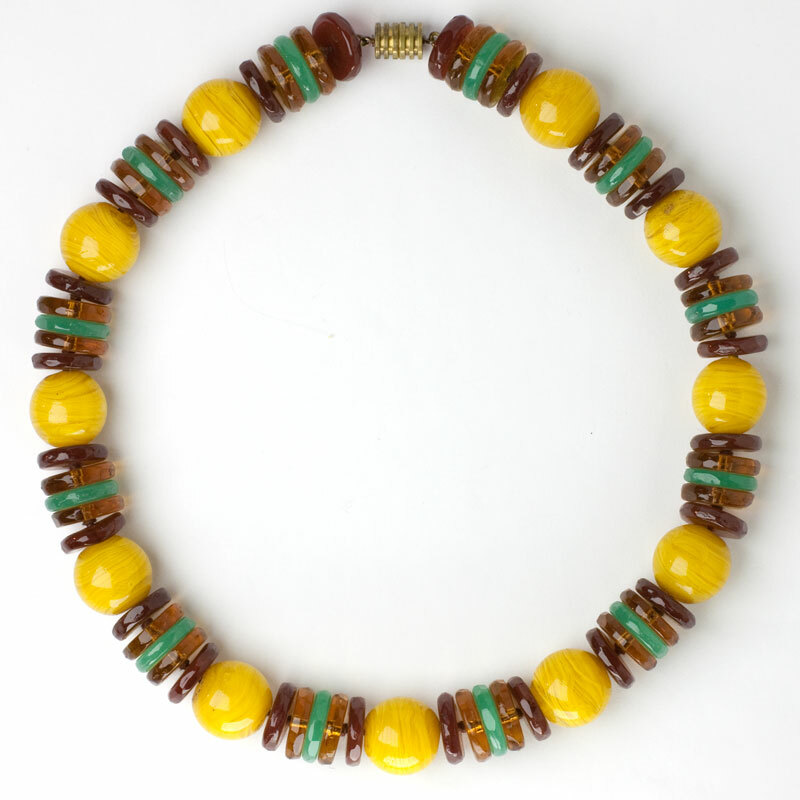 This substantial French Art Deco necklace boasts large yellow-glass beads with swirls. 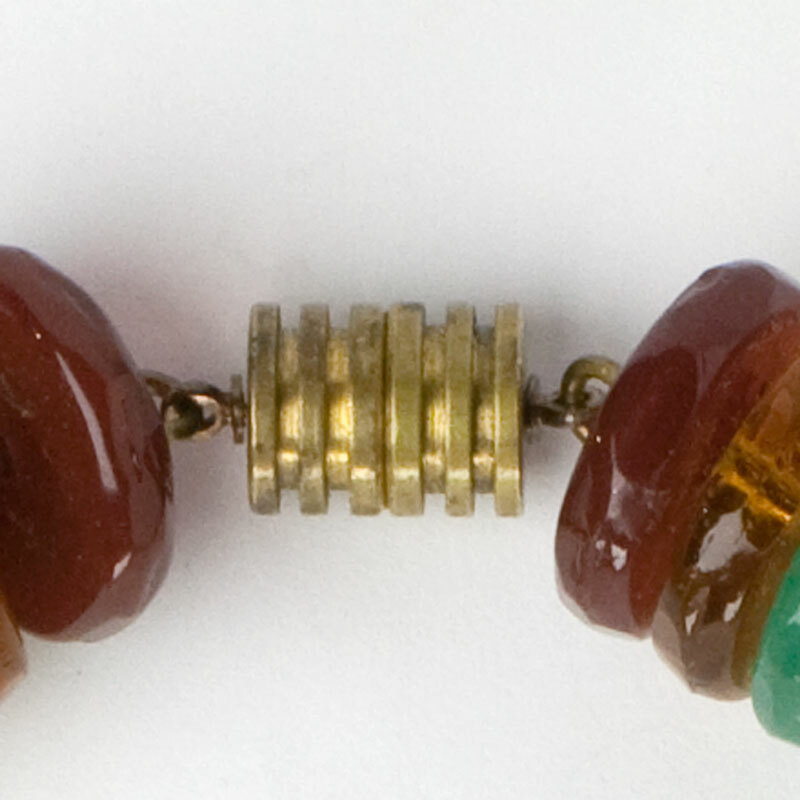 In between the beads are sets of two caramel-colored glass disks, one teal-glass disk, and then another pair of caramel ones. 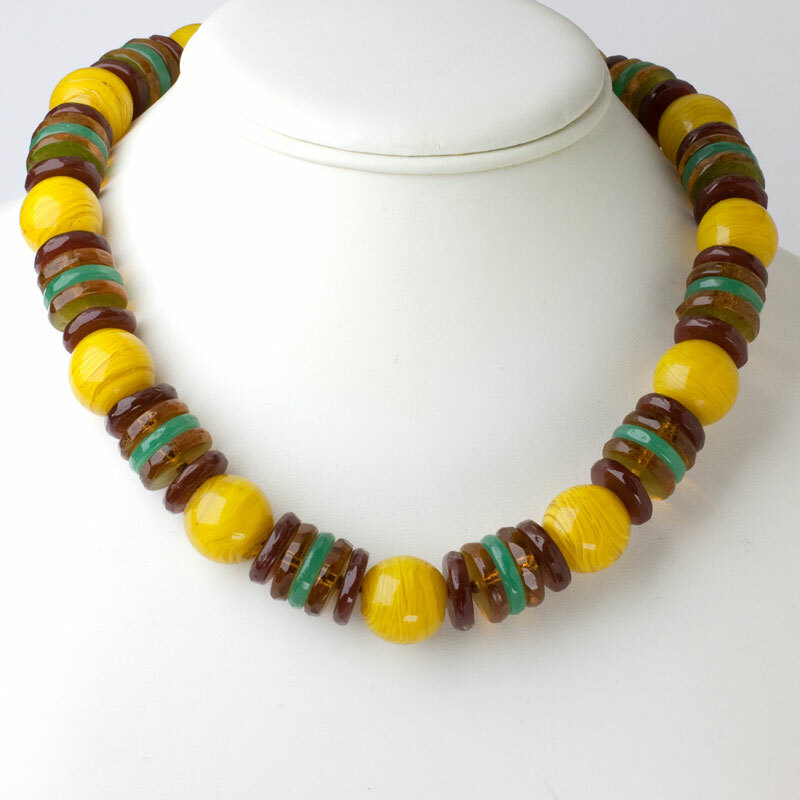 The color combination is unusual, striking, and extremely versatile. This necklace, which closes with a screw-barrel clasp, has been restrung on chain by my expert jeweler. The clasp can be a bit tricky, but it works fine. This piece was part of my personal collection. 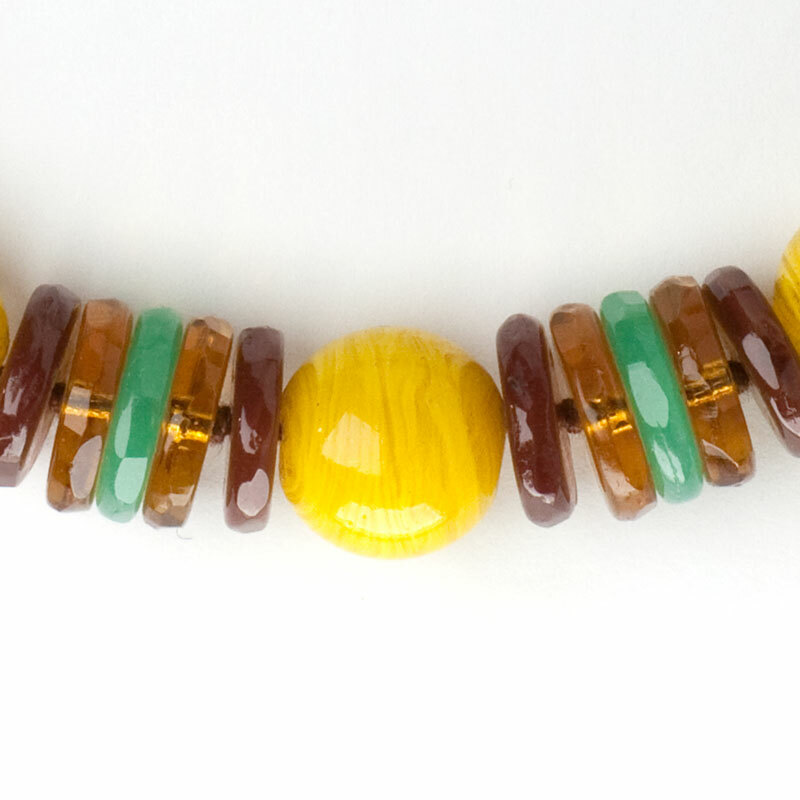 A beautiful necklace for a woman who looks best in warm colors.